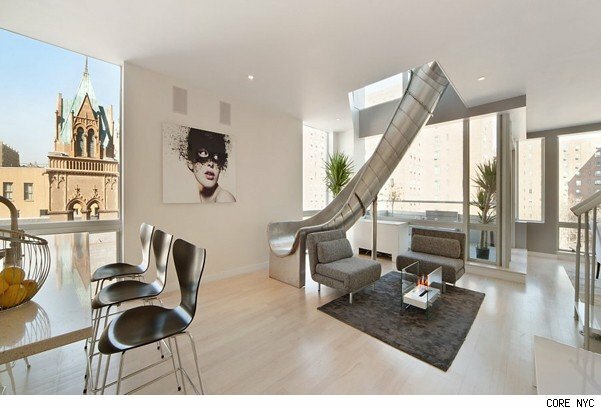 This infamous condo complex in New York City's East Village is known for being a a rich man's playground, but it looks like one of the A Building's tenants took that idea a little too literally: He had a slide installed inside his penthouse. Connecting the duplex apartment's second floor to its first, professional poker player Phil Galfond's helical slide starts by the top-floor office (which also boasts a wet bar), and ends somewhere between the living and dining areas on the bottom floor. The 18-foot sculptural slide features custom-made glass railings and with its careful detail, according to the architects, is an "unexpectedly elegant addition" to the space. We're not so sure "elegant" is the word we'd choose to describe a slide built into a grown man's 2,500-square-foot Manhattan apartment, but it sure is cool. Galfond has also thoughtfully installed an Italian-made Rintal staircase as an alternative for less-daring guests. The $3.990 million penthouse also features four bedrooms, four bathrooms, a game room, an 18-foot atrium and a private roof deck. 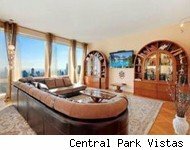 It features views over Manhattan from all angles and, even sans the slide, is pretty baller! Why is Galfond selling, then? He tells The Wall Street Journal that, given the uncertainty about the legality of online poker-playing in the U.S., "It doesn't make sense for me to hold onto the apartment." Shame. We would've just kept it, maybe, if the slide had a ball pit at the bottom. 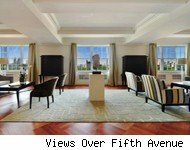 Elizabeth Kee and Lindsee Silverstein of CORE Group NYC have the listing.